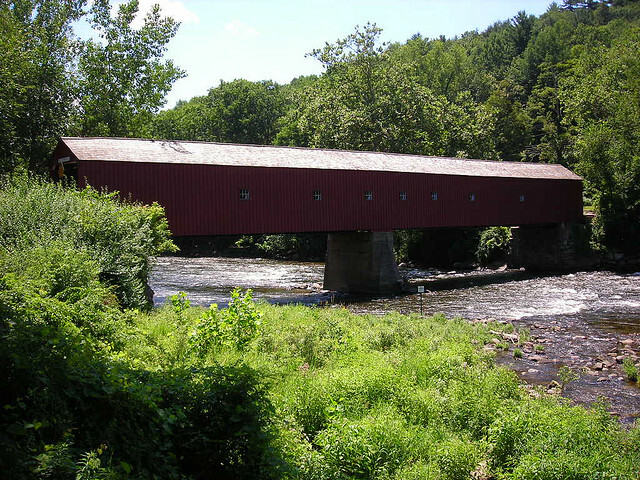 Cornwall, in Litchfield County, is located on the Housatonic River in northwestern Connecticut and contains a portion of Mohawk State Forest. Formerly a part of Lebanon, the town was incorporated in May of 1740. The early economy was based on farming, but iron furnaces, including two blast furnaces, gained importance in the nineteenth century, along with the supporting charcoal making industries. 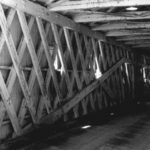 Famous as the site of the Foreign Mission School and the Cream Hill Agricultural School, Cornwall has also been called the “Home of the Covered Bridge,” in reference to the 1864 West Cornwall Covered Bridge that is still in service today. One of Connecticut’s smallest towns, Cornwall has remained a rural community. “Foreign Mission School 1817-1826 - Online Exhibit.” Cornwall Historical Society, 2017. Link. “Historic Dairy Barns and Related Sites.” Cornwall Historical Society, 2016. Link. “Out of the Woods: The Story of Cornwall’s Forests - Online Exhibit.” Cornwall Historical Society, 2017. Link. “Cornwall Historical Society,” 2012. Link. “Mohawk Mountain State Forest/State Park.” Department of Energy & Environmental Protection, 2012. Link. “Cornwall - WPA Architectural Survey.” Connecticut State Library Digital Collections, 2013. Link. Starr, Edward. A History of Cornwall, Connecticut, a Typical New England Town. New Haven, CT: Tuttle Morehouse & Taylor, 1926. Pawloski, John. Connecticut Mining. Charleston, SC: Arcadia, 2006. Cornwall Historical Society, and Jeremy Brecher. Cornwall in Pictures: A Visual Reminiscence, 1868-1941. Cornwall, CT: Cornwall Historical Society, 2001. Gold, Theodore. Historical Records of the Town of Cornwall, Litchfield County, Connecticut. Hartford: Press of the Case Lockwood & Brainard Company, 1877. Link. Gannett, Michael. The Distribution of the Common Land of Cornwall, Connecticut, 1733-1887. Cornwall, CT: Cornwall Historical Society, 1990. Dudley, Gary. The Legend of Dudleytown: Solving Legends Through Genealogical and Historical Research. Bowie, MD: Heritage Books, 2001.